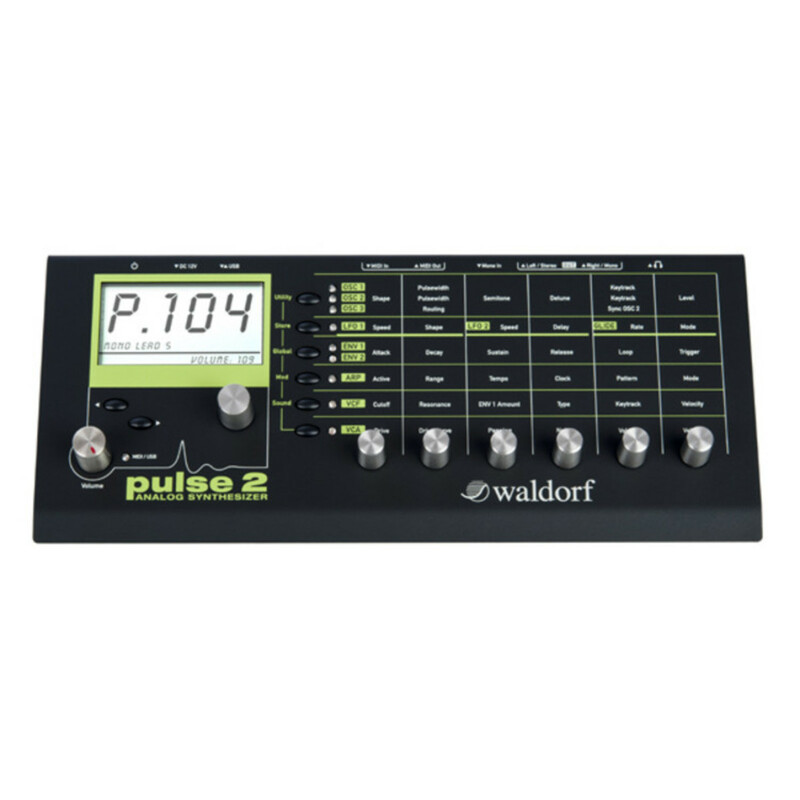 The Waldorf Pulse 2 Analog Synthesizer offers cutting edge powerful lows in a compact box. The Pulse is back with a vengeance, now with even more brute-strength power onboard. With the Pulse 2, you're looking at a completely analog synthesizer that accurately delivers what synthesizer enthusiasts around the world truly crave. 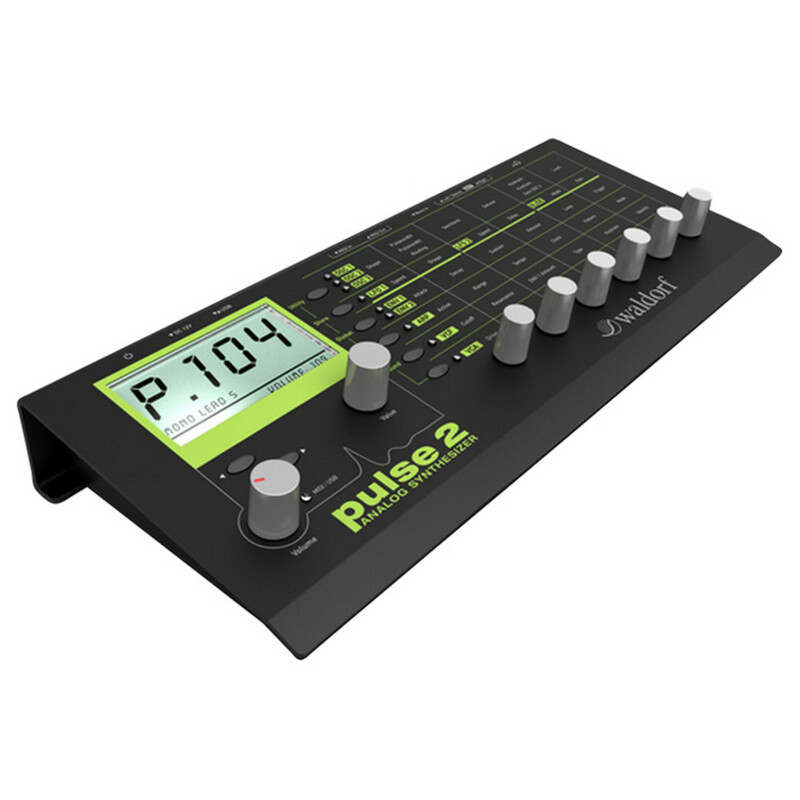 Pulse 2 is the reincarnation of its legendary ancestor, the Waldorf Pulse, that dominated the electronic music of the '90s. 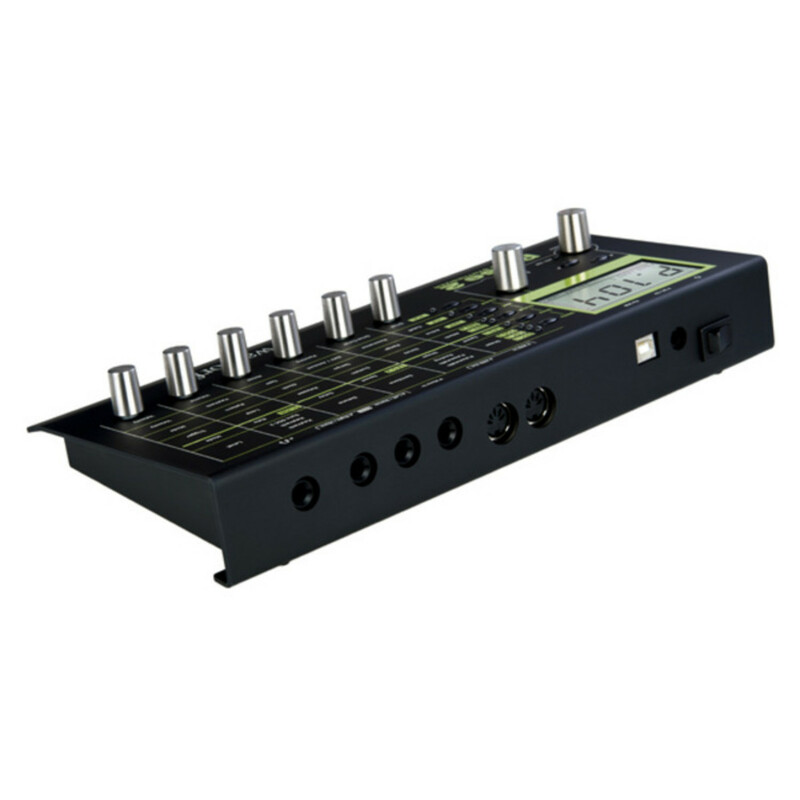 Like other Waldorf classics ie, the Blofeld Synthesizer, the Pulse 2 is housed in sturdy metal desktop casing. Besides its large LCD display there are 8 stainless steel knobs which are available to surf through the clearly arrayed parameter matrix along with setting master volume and editing display accessible parameters. For further information, please download the Pulse 2 product manual PDF from the link below.